I usually write about EatingWells LivingWells and while no pun is intended here, this is about other wells.... water wells. 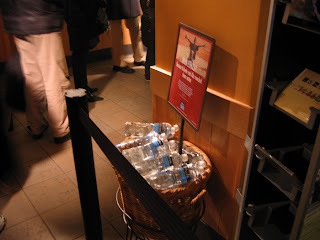 I was standing in a Starbucks “café” (I know, I know but I really like coffee) the other day and noticed a basket of bottled water for sale ( I think the basket is intended to give you the feeling of standing in an outdoor market in some exotic place – note to the store manager, it doesn’t). There was a sign saying that if I bought a bottle, I could help end the world’s water crisis. I just found something wrong about promoting clean water, which of course I am all in favor of, by selling millions and millions of plastic water bottles. This is exactly what Starbucks does with their ethos water, a company the coffee chain acquired in 2005. Each time a bottle is sold, $0.05 goes to support “humanitarian water programs in Africa, Asia and Latin America.” But I would like to know what happens to all of the plastic bottles. I wouldn’t be surprised if you find a few million in our landfills leaching harmful chemicals into..... you guessed it, our water supply. The way I see it, it would be simply better to buy one less coffee a week or even a year and send the money directly to the programs that are cleaning up water supplies around the world. With the price of a large, at least that’s what we use to call the biggest cup on the house, approaching $5.00 for a special seasonal coffee drink (you know, summer porch, autumn leaves, holiday cheer), you would need to buy 100 bottles of Ethos to provide the same level of support. For more information about the water crisis, please go to the UN’s web site. 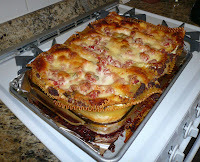 I would like this blog to look more like that one but I haven't found a way to make plates of food look like well dressed people on the streets of Milan. However, I guess dressing Wells is like eating Wells. “Coconut Lemon Meringue- almond sable, chocolate sorbet”. Besides a very salty fish course, we both enjoyed the meal a lot. And that’s the truth.